Mobile storage is similar to self storage but the significant difference is that you will no longer be required to hire a van to move your goods. We have specifically designed mobile storage units for this purpose, which we deliver to your door. For the professionals, businesses, services industry professionals, shop keepers, market traders, domestic and students. 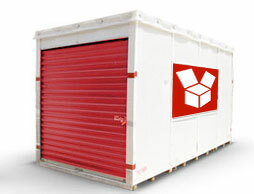 We can cater for all of your storage requirements. We have storage space up to 50,000 sq ft space!